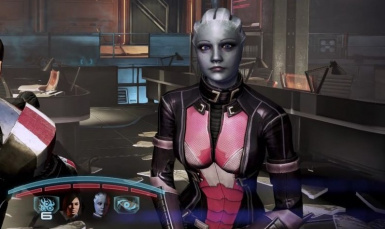 Liara's CE Armour Forehead Plate was removed. 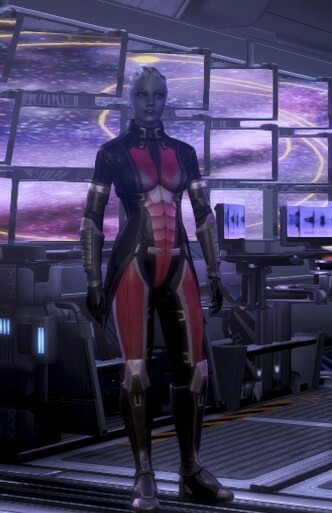 Also Liara can have Her CE armour as casual wear too. 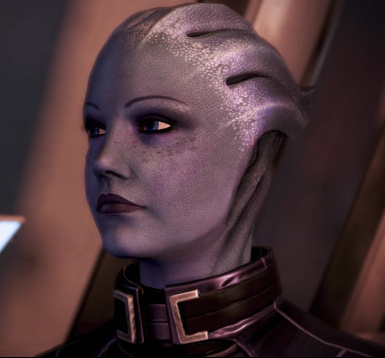 Liara is beautiful again as ever. 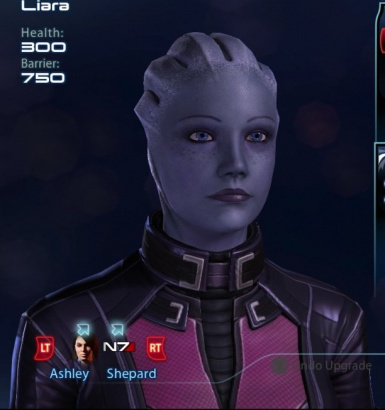 I have been making a few minor changes and this is now a copy&paste DLC mod version. Also made a Green and Yellow coloured DLC version for casual appearance only. Other different colour versions for casual wear is also available in TPF format. 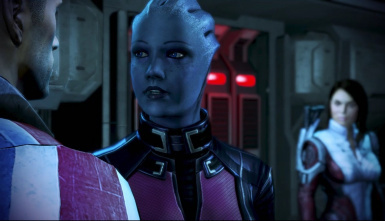 This casual wear versions can be installed over BioH_Liara_00_NC.pcc file with the TPF tool.